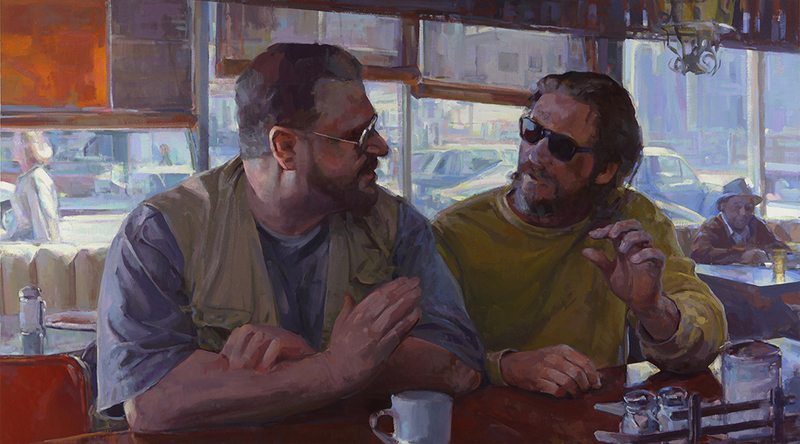 l am pleased to announce the upcoming exhibition of The Lebowski Cycle at College of the Canyons Art Gallery in Santa Clarita, CA, from Oct 28 – Dec 10, 2014. There will be an opening reception and artist talk Tuesday, October 28th from 2-5 pm, as well as a closing reception from 3-7 pm on Dec 6th. The exhibition will include all 14 of the original large scale paintings from the Lebowski Cycle, plus a recently completed 15th painting from 2014, The Incredulity of Saint Thomas, seen here. Hours and directions to the gallery can be found here. I’ll be posting additional information about the show and more about this painting soon. 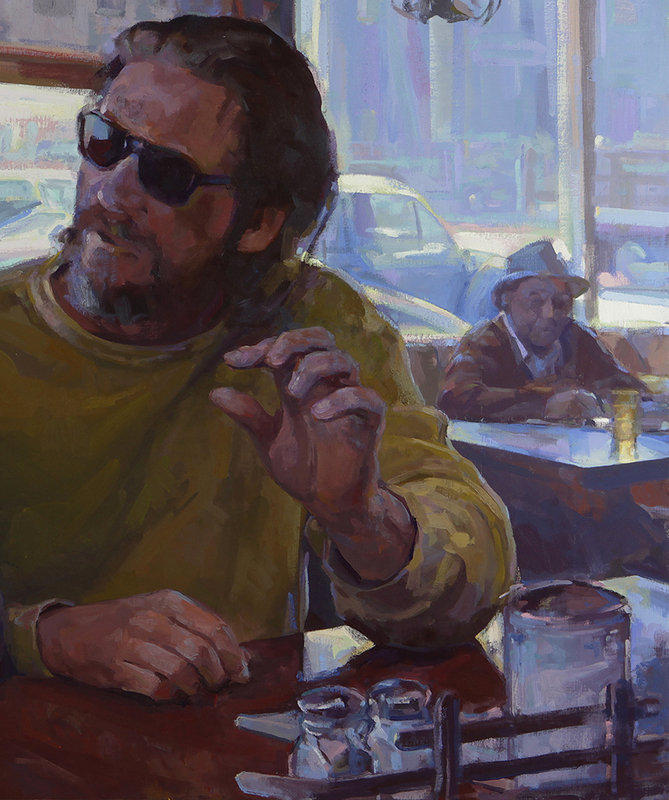 This entry was posted in Exhibitions, Figurative Painting & Drawing, Lectures and Workshops, The Lebowski Cycle and tagged California, Caravaggio, Coen Brothers, contemporary, figurative painting, Jesus, narrative painting, The Big Lebowski, The Dude, the Incredulity of Saint Thomas, The Lebowski Cycle, • The Lebowski Cycle on October 18, 2014 by Joe Forkan. 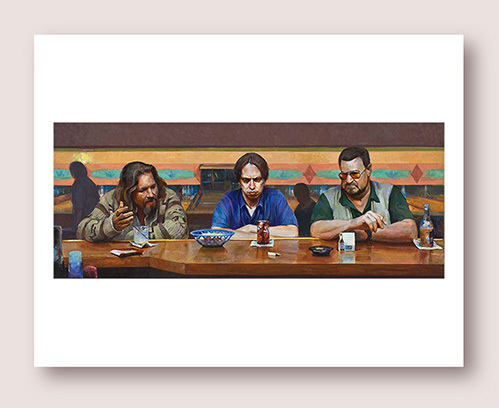 I am pleased to announce that limited edition prints of all 14 original paintings for the Lebowski Cycle are now available for purchase. I have worked closely with the printer to make sure of the clarity and color accuracy of the prints. The giclées are printed with archival pigmented inks on heavy stock, Ultrasmooth Rag paper. Prints are available in 2 sizes, each printed in very limited editions. Each print is signed and numbered by the artist and comes with a certificate of authenticity. A portfolio edition including prints of all 14 original paintings is also available. 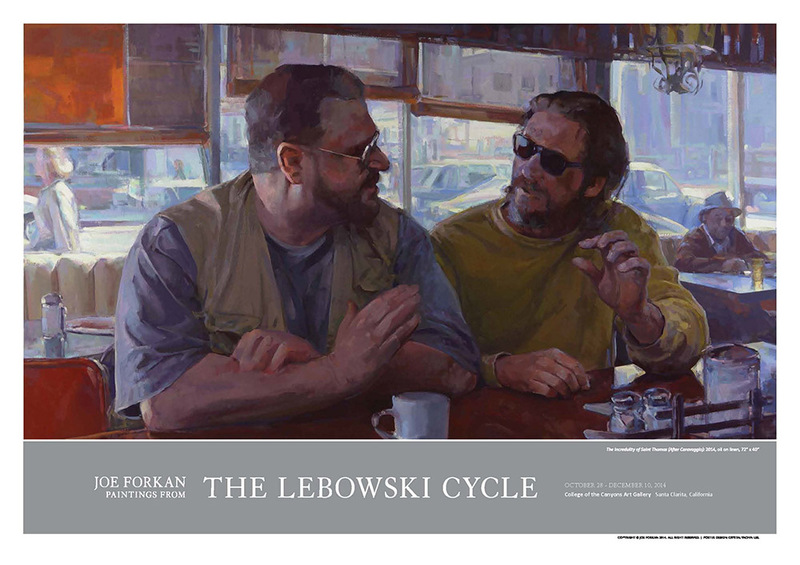 Features archival pigment prints of all 14 original paintings from The Lebowski Cycle. 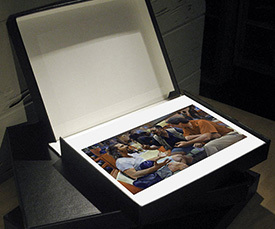 Portfolios are available in a Limited edition of 10, and come in an archival clamshell case. A limited edition etching, exhibition posters, and exhibition catalogs are also available. This entry was posted in Prints, The Lebowski Cycle and tagged Coen Brothers, Deposition from the Cross, Ecce Homo, figurative painting, Lebowski Cycle Prints, narrative painting, The Agony in the Garden, The Big Lebowski, The Death of Marat, The Dude, The Lamentation, The Supper at Emmaus, The Taking of Christ, Wanderer Above the Sea of Fog, • The Lebowski Cycle on December 11, 2013 by Joe Forkan.